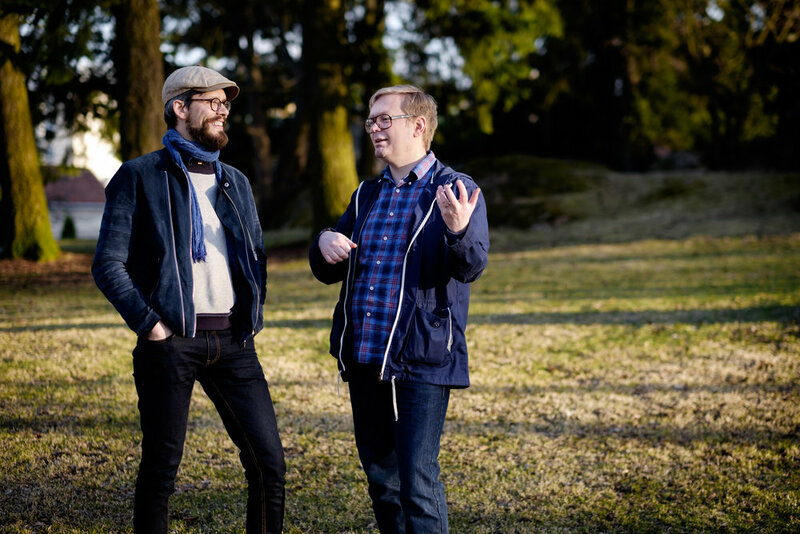 Vidar Skrede and Topi Korhonen: Finnish-Norwegian duo playing their own original music and traditional Scandinavian folk music. Vidar on fiddle, hardanger fiddle and guitar — from Norway. Topi on guitar and mandolin — from Finland. Vidar has been touring in the Midwest and US with bands like Geitungen, The Blue & The Blond. Topi is also touring this summer with the Finnish band Haaga Folk Machine.